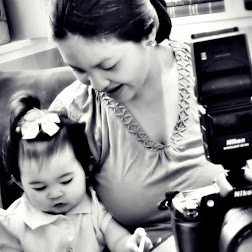 Rina's Rainbow: A Cool Party Planning Tool! : Red Ribbon Budget Planner! But after the feeling of excitement comes the feeling of panic. There's tons of things to do when planning a party. Be it huge or small. A lot of things to consider like the cake, the food, the tables and chairs, etc. And moms need all the help they can get. The truth is, Richie will be out of town during Rain's birthday for The Pickiest Eater blog. Which is okay because Rain is too young anyways to understand that it's her birthday. We will be having her birthday party when Richie comes home (which my sweet Mother in law is already working on as early as now! How cool is she?!). But of course, I still personally want to have a little something to celebrate her birthday on the day itself. 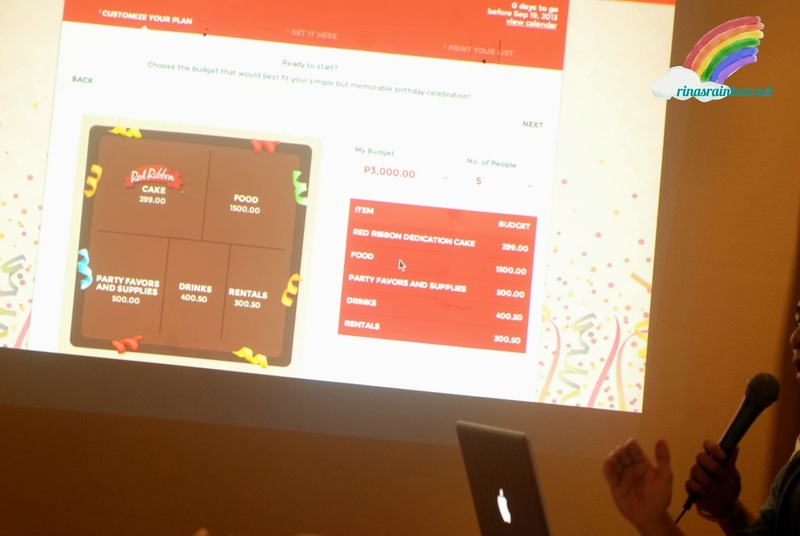 Call it coincidence but last week, Red Ribbon is soon launching this cool and exciting tool that can help plan budget parties! What perfect timing! And we were fortunate to witness the blogger launch of this cool new website. 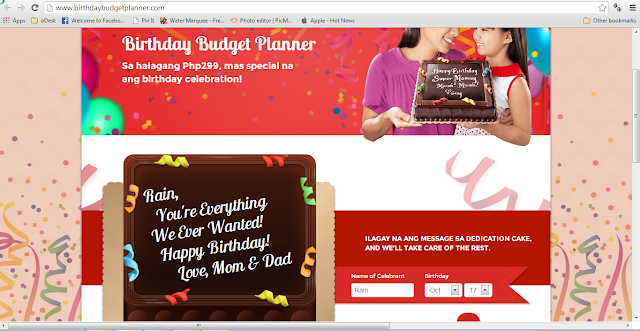 Presenting Red Ribbon's Budget Planner: www.birthdaybudgetplanner.com ! In this heaven-sent website, anyone can easily plan parties. The site can show you a list of suppliers based on your location and budget. 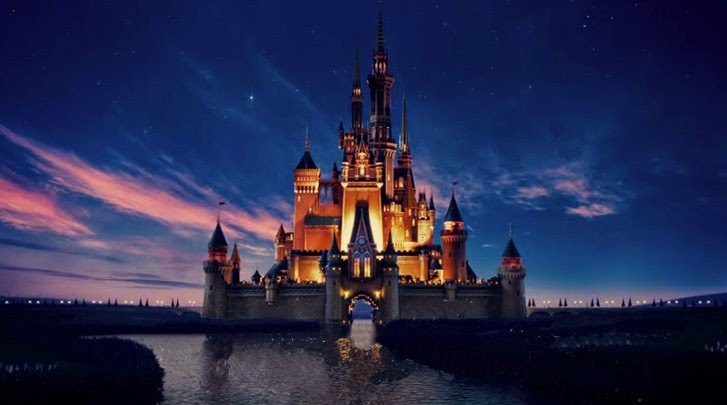 Just fill in the details such as your budget, or number of people, and it will suggest a list of suppliers and packages that best fits your needs. Take note though this is only a planning / database tool. Red Ribbon will not execute the planning for you. (If you want to hire someone who can do all the planning for you and you don't want to lift a finger or are too busy to do so, what you want is an actual Party Planner hehehe. ) Once you're satisfied with the planned allocation of your budget with your chosen suppliers, you can print your list and carry it around with you as your checklist as you get into action! Red Ribbon has also launched their new dedication cakes! It's a wide birthday cake that has more than enough space for a nice dedication straight from the heart. Starting with an 8x8 birthday cake for the low price of only P299! 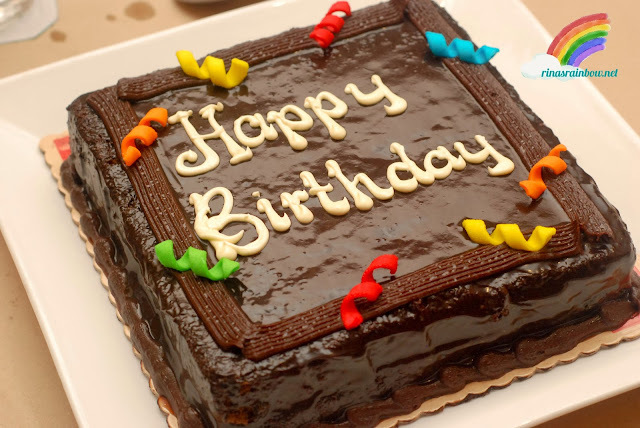 And as big as a 12x12 cake for only P690! They come 2 flavors which are Chocolate and Mocha. And just when you think it couldn't get any cooler, it does. 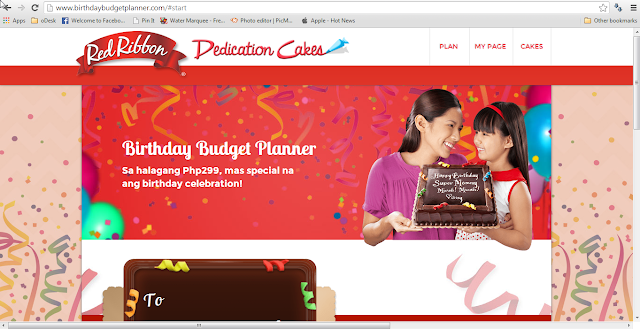 You can personalize and preview your dedication cake over at the birthday budget planner site. And as soon as you are done, Red Ribbon will deliver the cake to you! Just like that, my "a little something" plan for Rain's birthday is solved! I'm excited to use this tool! Are you also planning a celebration? ... the list goes on and on! You can make each simple celebration truly special with a Red Ribbon dedication cake! 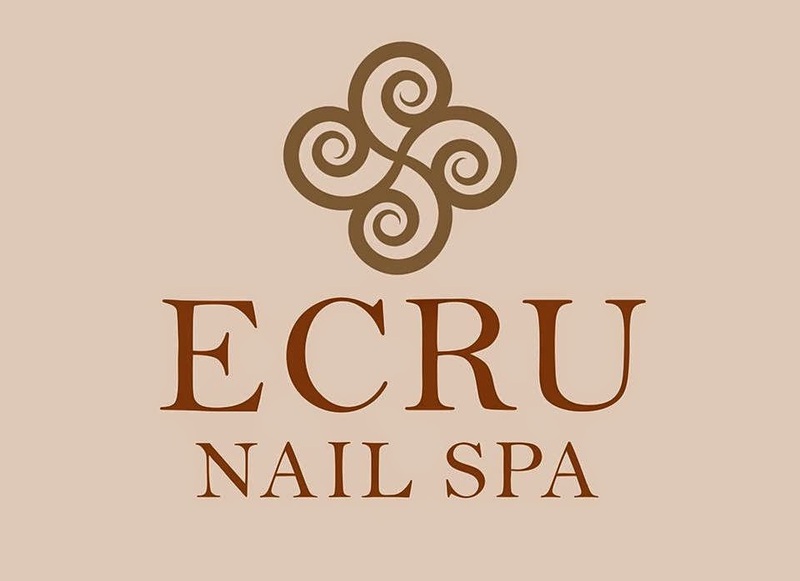 check out the site now! Lapit na birthday ni Baby Rain! The decorations will never look the way you want them to,The decorations will never look the way you want them to, if the party planner understands you badly or your ideas are not communicated to the decorating team. farm table rentals in san diego if the party planner understands you badly or your ideas are not communicated to the decorating team.